The NEDC is keen to hear from you! We are always happy to receive feedback about our website, clearing house and e-Bulletin. Please note that the NEDC does not offer a support service. 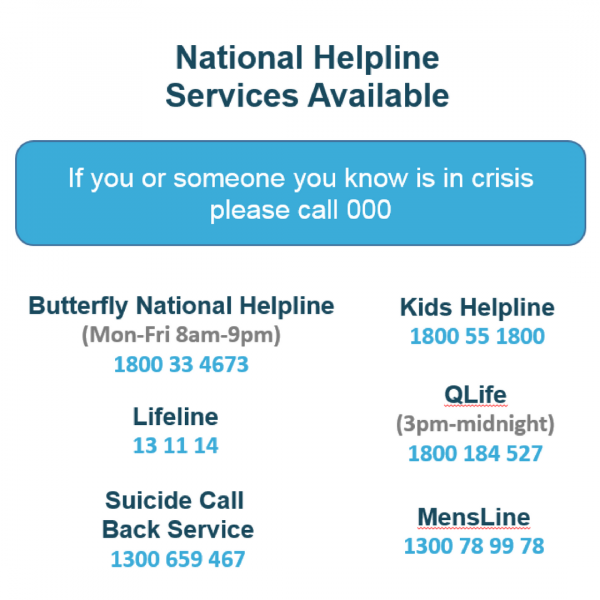 If you are looking for support or are in distress please contact the Butterfly National Helpline on 1800 33 4673.